Crazy music waves zap from the past to the future in the alternate-reality world of Galaxxxy, a new street fashion store filled with happy chatter. 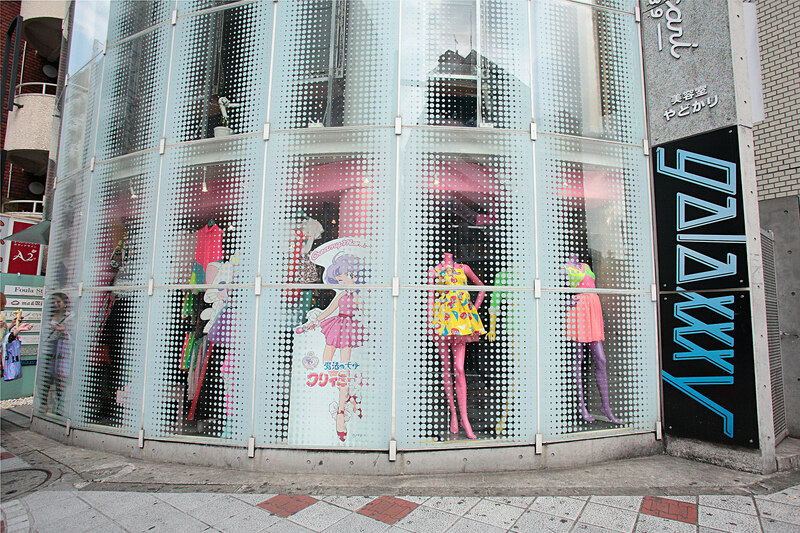 It crosses the barriers between fashion styles and is popular with gyarus, Harajuku-kei, and idols from the music and anime industry alike. From women's and men's clothing to remade clothing, foreign brands and collaboration collections, the shop has a great selection. Their original 80's style leopard hoodies and shorts are bestsellers and they've also held a collaboration with popular idol group Momoiro Clover Z. The colorful and pop interior of the shop is new and nostalgic all at once, and each season brings a new collaboration that changes the atmosphere of the store. An international online shop is scheduled to open after the brand's participation in international fashion shows.